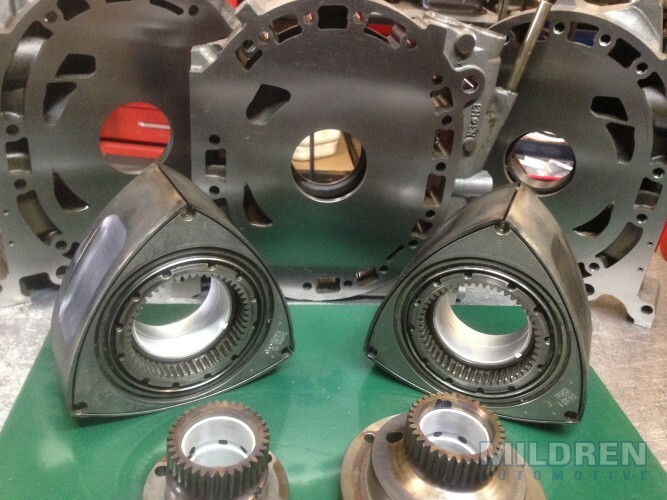 Mazda Rx8 rotary engines (2003 – 2007) do not sufficiently lubricate the entirety of rotor seals and housings, resulting in premature wear or damage. In addition, carbon produced internally at low engine speeds and low acceleration rates (typical city driving) is excessive and unable to adequately exit the engine through the exhaust. 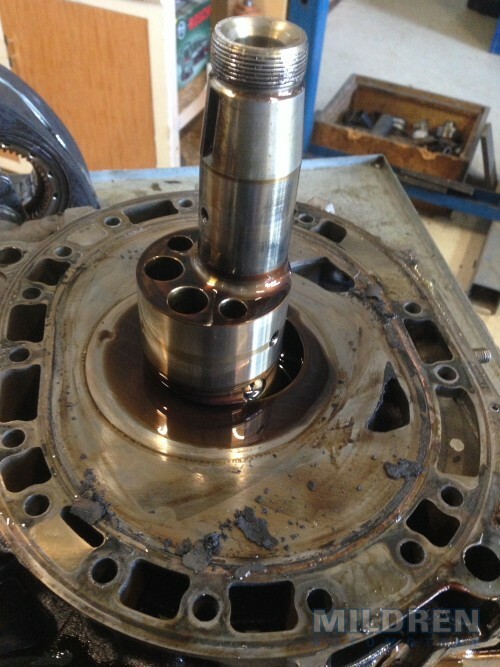 This causes carbon accumulation on combustion surfaces, around seal grooves, and exhaust ports. In order to increase lubrication within the rotary engine, I recommend adding a small dose of synthetic Amsoil 2 cycle oil to your fuel at every fuel stop. At only 20ml per 10 litres of fuel, it is a cost effective way to lubricate more of your engine, extend to life of seals and ultimately prevent premature catastrophic damage. In order to increase lubrication within the rotary engine AND reduce carbon production buildup, I have developed a Rotary Premix, a synthetic blend of Amsoil 2 cycle oil and Amsoil Performance Improver. At approximately 5,000km intervals, I recommend Rx8 owners temporarily replace the ‘straight’ LUBRICATE program with REDUCE CARBON AND LUBRICATE program. At only 70ml per 10 litres of fuel, it is a cost effective way to lubricate more of your engine AND reduce & remove carbon, extending the life of your engine. Reduces carbon deposits and subsequent exhaust port clogging. As a result, your rotary will maintain the power for which it was designed. Keeps internal seals and combustion surfaces cleaner of carbon buildups. Keeps your fuel injectors & spark plugs clean to reduce maintenance. Provides additional lubrication for apex and side seals to increase seal life. Allows for better sealing performance of the chamber, creating greater efficiency and more power. Reduces friction and heat generated at seals. Some of you will have already experienced early engine failure and received feedback from me that the engine simply wore out prematurely due to excessive production and accumulation of carbon inside the engine. 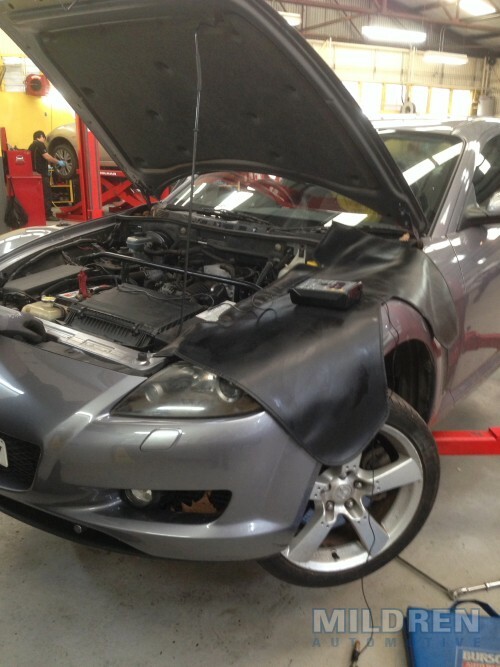 Consider an Rx8 owner who replaces an engine after 100,000km at a cost of $10,000. 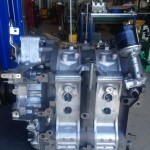 The engine wear cost to the owner over the 100,000km was 10 cents per km. When considering how to mitigate accelerated engine wear and carbon buildup, I believe these strategies will go a long way to help. Every extra 1000kms you get from your engine can be an extra $100 saved with little effort and low cost using the LUBRICATE and REDUCE CARBON & LUBRICATE programs. You may also experience added fuel economy or more power at the same time as extending your engine life. So what are we looking for in a good Engine Oil for your Mazda Rx8? having trouble starting your Mazda RX8? Sadly, an increasingly common fault the RX8 suffers from is difficulty starting when hot and cold start flooding. Just to be clear this is NOT a normal characteristic of the car. A healthy RX8, or any rotary engine for that matter, should start like any other car when hot or cold. IS CARBON KILLING YOUR RX8 ENGINE? The Rx8 Renesis engine has developed a pretty poor reputation for reliability and longevity in recent years, and quite deservedly so. Owners and service agents alike need to be up to speed understanding benefits of carbon reduction and removal and real cost of no action.